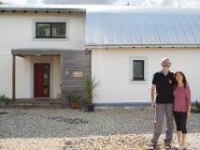 In 2014, one couple decided to give up life in a van and convert an old newsagents in Shrewsbury into a very small low energy home, using the principles of the passive house standard as their guide. So how did it work out, and what is life really like in such a small home? The latest versions of PHPP and designPH are intended to make passive house design both easier and more accurate than ever before — and to plan for a future powered by renewable energy. Jan Steiger of the Passive House Institute explains the latest features of both software packages. 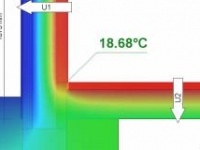 Industry experts Mark Siddall and Nick Grant will deliver a masterclass that examines the potential causes of overheating, and how to design, build and operate a passive building in order to prevent overheating problems, on 15 February in the Saint-Gobain Innovation Centre in London. This ambitious and complicated project — a partial upgrade, partial rebuild of an old detached property in south Dublin — is on course to achieve the onerous Enerphit standard for retrofit. In April 2010, Geoff and Kate Tunstall moved into their pioneering house at Denby Dale. It was one of the UK’s first passive house projects, and the first to be built with a traditional British cavity wall system. Five years later, how are the Tunstalls finding life in a passive house? 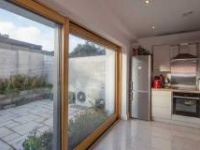 This 1960s Galway home was turned into a passive house - and is costing just €55 per year to heat. One third of the units at a new social housing development in the East Midlands have met the passive house standard— but the entire project was inspired by fabric first, low energy design. The small passive house problem - a solution? It’s sometimes said to be hard – perhaps too hard – to get a small house to meet the passive house standard. But a small house will have small heating bills, so why is it hard for a small house to be a passive house? Leading passive house consultants Alan Clarke and Nick Grant delve into the passive house software to find out what’s going on. As passive house moves into the mainstream, construction costs are bound to keep coming down, with increasing competition among suppliers, and designers and contractors becoming familiar with the most cost-effective routes to meeting the standard. One recent self build shows that low cost passive house needn’t be a distant aspiration – it’s achievable now. The Passive House Institute has announced the launch of a 3D model interface that allows for the graphic input of energy related design data. The German version of the new passive house planning software was launched at the International Passive House Conference held in Frankfurt over the weekend, with the English version due to be released this summer. Over 100 experts in ultra low energy building will address the International Passive House Conference, which takes place in Frankfurt this weekend. Speakers will present a wide range of case studies and research that, according to the Passive House Institute, demonstrates that passive house works "in all climates and for practically any type of building". 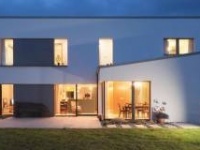 People planning to build a new home could save themselves thousands of euro each year by developing a passive house, according to the Passive House Association of Ireland (PHAI), a new low energy design initiative comprising passive house designers and contractors.